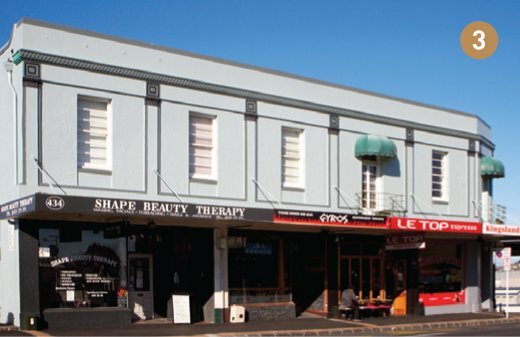 Built as two separate buildings between 1900 and 1910, a unifying facade was applied c1940. The Windsor Dairy was originally a plastered building with rectangular windows and verandas supported on square timber posts. Auckland Meat Co. occupied the corner shop from 1915 until the 1930s.